Welcome to Craft Garden, we are an environmentally friendly programme that teaches children how to create by using recyclable materials. We provide your child with a safe, fun and secure environment where they can develop their creativity and explore their imagination. At Craft Garden school holiday programme your child will have a great day of fun, exploring new ideas and concepts and doing lots of arts and crafts. Our school holiday programmes are OSCAR approved and all staff are police vetted. 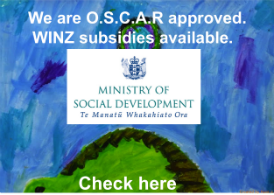 We currently operate in Paraparaumu during the School Holidays, providing a one of a kind art and craft programme in a creative environment. We can also bring art and craft lessons to you or your classroom. We work alongside with teachers developing relevant arts and crafts that link with projects that students have explored during the term. We care about our children and community, we can give your school fair/gala a touch of creativity. 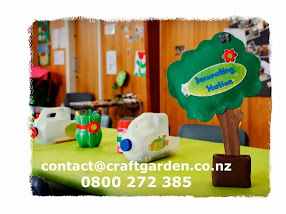 Craft Garden is exactly what every child needs to let their imagination thrive. Our programmes are full of fun, with crafty projects, awesome activities and bright ideas!